I live in West Bradenton, Florida and love to teach students play piano in my house and in Woodland Arts Academy, Bradenton. As well I teach online. I'm a member of Music Teachers National Association ( MTNA) , the Florida State ( FSMT) & Manatee County (MCMTA) associations. 42 tears of experience, Master Degree of Art. Piano lessons for the students age of 3,5 y/o and up to 80. You wil enjoy to play music of any styles: classical, , contemporary, jazz, gospel! I like to teach students and see their progress. In 4- 6 lessons my students could participate at the piano recitals, but for the progress is important a to practice at home 5 das a week under the soft parent's control. Ms. Yuliya is an excellent piano teacher, she is very patient with my triplets boys that started at age of 5 yrs . She encouraged my sons all the time and let them participate in a lot of competitions . She never fails to believe in their capacity even at their young age. She also treat my boys with kindness. I highly recommend her to any aspiring pianist. Wish she did not move and remains to be my boys piano teacher! Wish her the best !!! Ms. Yuliya is very professional and very patiently taught my three kids piano skills. She encouraged them join the state competitions and helped them build their confidence to perform in front of large audiences. I can see them grow both in piano skills and self confidences which attributes to Ms Yuliya endless efforts. I can not thank her enough, and kids miss her a lot since she moved to Florida. A great teacher and highly recommended. Kids or adults can learn great piano lessons from her. Mrs. Yuliya, is an excellent piano teacher! Our 3 kids all learned a tremendous amount of material in a short period of time. Every child who takes her class will be 10 times better in 6 months. She is respected by all students under her care. We really miss her and consider ourselves very lucky to have had such a wonderful piano teacher for our kids! Awesome teacher. My son worked with her for almost two years and learned how to play and read music. Hosting recitals was also a plus for my son and his development. Mrs. Yuliya is patient and very skilled to work with all ages. She provided all books, learning apps, and flash cards. Wish she didn’t have to move. I show to students how beautiful is a music and piano sound. Personally I began attending a music lessons as a child at the age of 7 and studied music at Lyatoschinsky Music School for children in for 8 years . I graduated from the piano faculty at Zhytomyr's College of Music in 1976.
and received a Master Degree in Art of Music, majoring a piano and a conductor of choir. In this way I received a pedagogical and music education, continuing my studies at various refresher teaching piano courses. I started to teach right after the college at the children music school. Last Piano Recitals Holiday Recital in December 8th and was Halloween in October 28th , 2018. October 28th - 27 students participated at the General Recital. In November Jason Cheng got an excellent score at the ABRSM theory and piano tests. In December 2d - 38 students enjoyed beautiful Christmas Music at Carols & Cookies Recital. In February 10th - 34 students participated at the Ensemble Recital, In March 4th - was Maryland State Ensemble Competition. 4 duets & 1 trio participated, and two duets got Honorable Mentions! March 24th. - 1 student participated at the Evaluation Test. On April 15th , 8 students - at the Rockville Piano Solo Competition and 5 of them received a Superior from judge! Others students received Excellent scores. 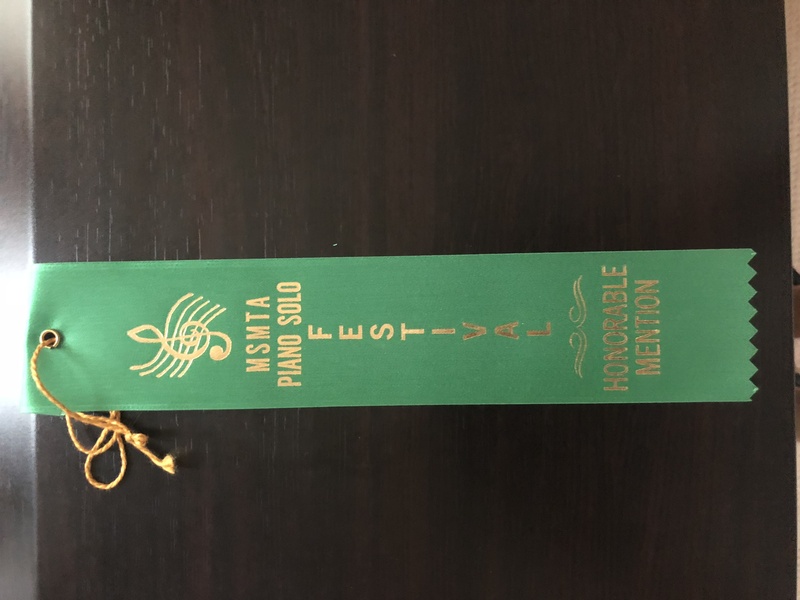 34 of my students participated at the MTACC Sonatina Piano Competition on April 28th, 2018. On May 5th: Maryland State Piano Solo : 5 participators and 2 winners earned Honorable Mention . On May 12th - MTACC Scholarship Piano Competition 2018. Two of the 5 students won Honorable Mention . June - 36 students played at the Studio Recital. For the students: Love music, be serious, punctuated, hardworking.